Thank you to Interact for partnering with me for this post. All opinions are 100% my own. You see a quiz and you stop. You totally want to know what kind of wine you would be (if you were a wine) so you click. You go through the quiz, you find out you’re a Merlot which is so funny because that’s actually your favorite wine so you share it because your BFF will totally get the irony. You might even click on to the next quiz. 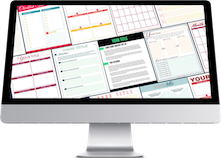 So, what if you could take that entertaining (and let’s face it– addicting) quiz and turn it into a list-building machine? Something that grows your business and engages your audience all at the same time? Something that can not only build your list but also funnel people into your paid offers? Using the tool, Interact, you absolutely can! 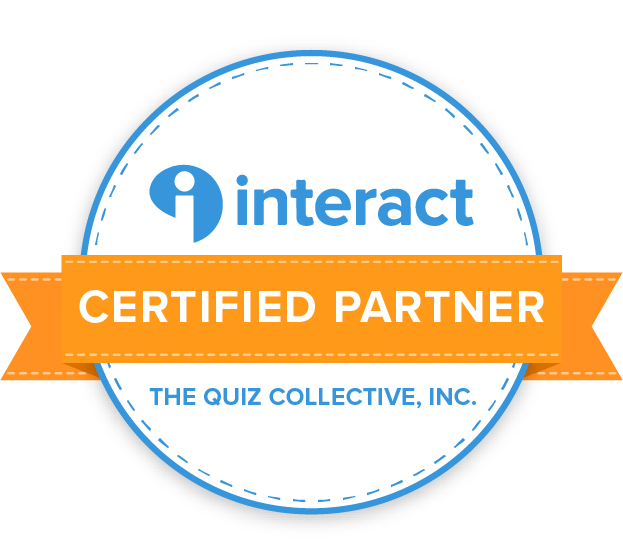 First, sign up for Interact (which you can do for free!). The program has a short tutorial and tons of videos to help you through making your first quiz. Side note: you can see an example of my list building quiz right here. Next, you will customize your quiz with your brand colors and images. I choose to use some stock image and some custom images that I created in Canva for my quiz. The program is integrated with Unsplash, so choosing stock photos is quick and easy. 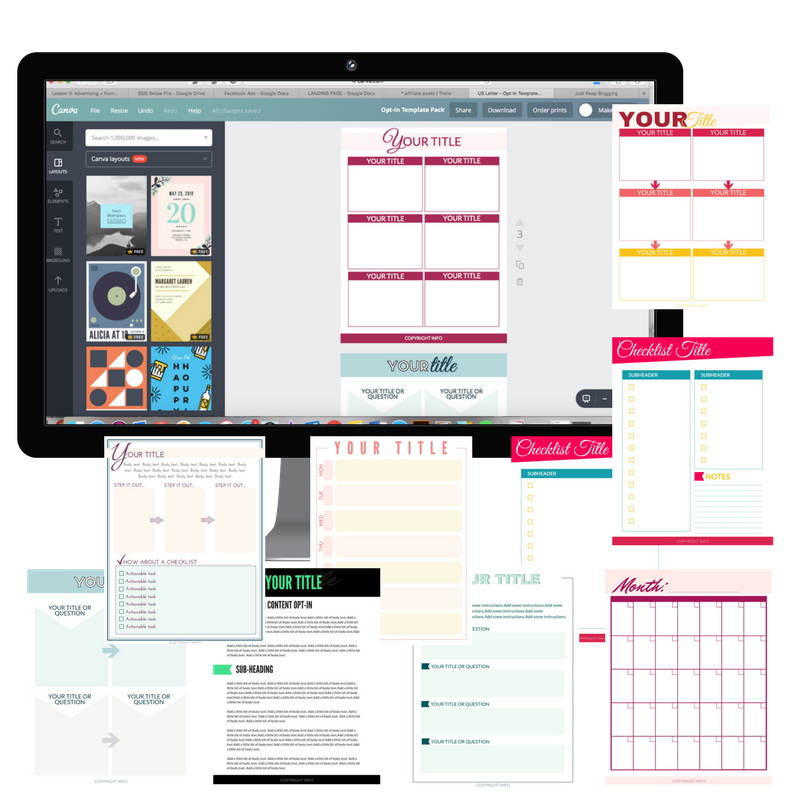 The program comes with free templates which you are free to use. I chose to customize my questions so that I could filter people into specific offers based on their score. Then, you set the correct answers for each question and you have the option to add a comment that will appear when people select the right answer. After my quiz was all set up, I hooked up my email service provider (Convertkit) so that I could collect email addresses. Lastly, you set up your results. Based on the type of quiz you choose- this will be slightly different. The quiz I chose was one based on score. Because the nature of my quiz was determining ability, my results were simple: beginner, intermediate, and advanced. Because the offer was targeted, the more likely they will be to convert. You can also segment your list by choosing what email sequence you want to be sent to each result. Click here to find out why quizzes are the next BIG thing in email marketing (and try it for free)! Need more ideas on how to grow your blog? Here are 17 content upgrades for you, right here! PS: Take our quiz (How Well Do You Know How To Design in Canva) that is featured in the video below. I hope this inspires you to create your own amazing quiz for your audience! « Interactive Quiz: How Well Do You Know How to Design in Canva?